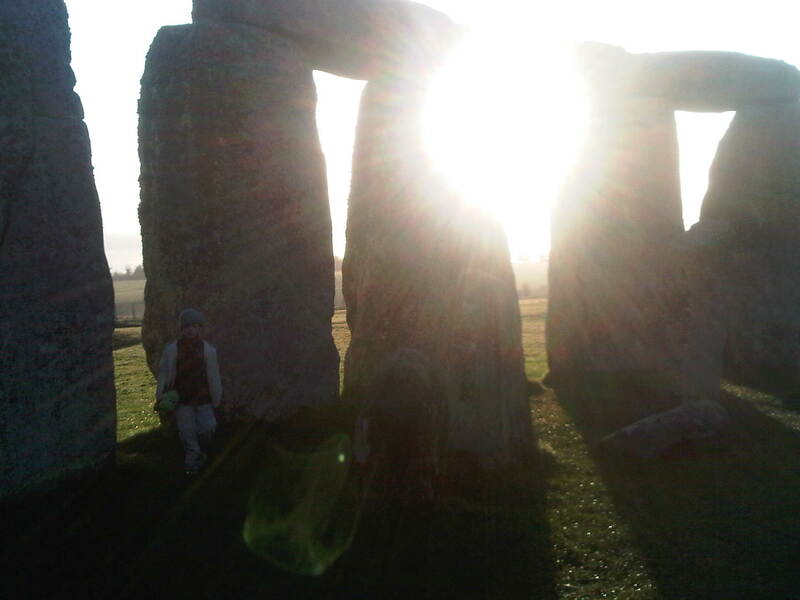 Be one of the few people to walk amongst the inner stone circle of Stonehenge at sunrise or sunset. Stonehenge Inner Circle Access Trips from Bath. The Private Guided Tour Experts. 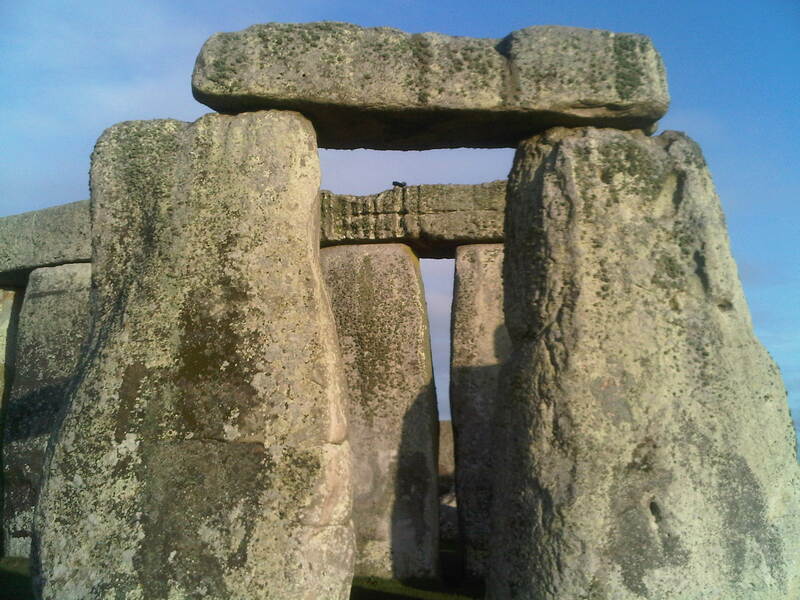 Our private guided Stonehenge tours that depart from Bath and Salisbury are the most popular with our overseas visitors. Stonehenge is the most famous and enigmatic Megalithic site in the United Kingdom. Dominating the landscape of Salisbury Plain in the county of Wiltshire, the giant standing stones of Stonehenge – some weighing up to 50 tonnes – are a mysterious icon left by mysterious ancient peoples. 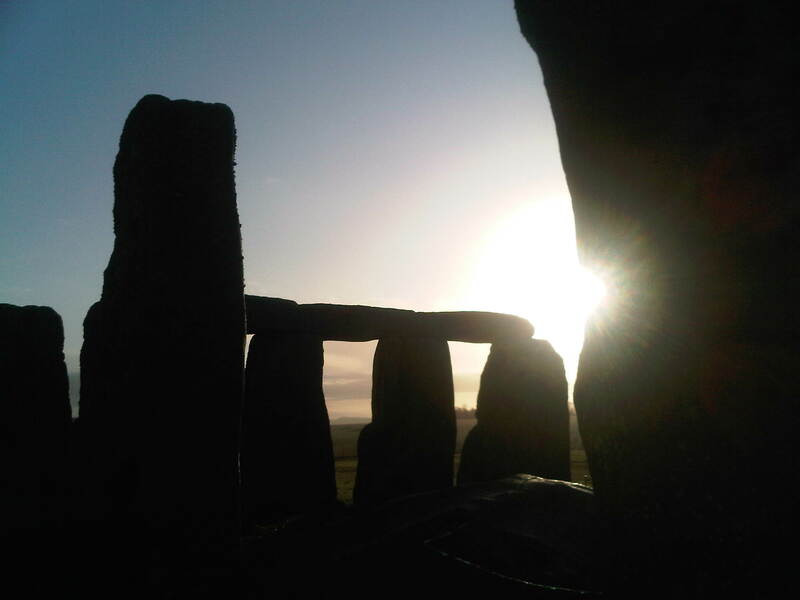 Our Stonehenge Inner Circle VIP Access Tours allow you to enter the inner circle at sunrise or sunset. A midwinter sunrise at Stonehenge. A private guided inner circle tour from Bath. Why did our ancestors build the circle – as a temple, a burial site, a place of healing, or a calendar? And how did they transport the massive stones weighing up to 50 tonnes from so far away? Arthurian legend has it that the circle was built by Merlin, assisted by giants. The purpose and the construction of this awe-inspiring monument is one of the world’s most enduring mysteries. Find out on one of lecture standard custom tours. We can arrange with English Heritage for you to experience a unique visit to this ancient sacred site – beyond the fences & after the crowds have gone home. Walk amongst the stones & experience the magical atmosphere within the inner circle. There will be time to enjoy the peace, away from the crowds, as we experience Stonehenge at its most mystical and atmospheric best. Not to be missed! Popular attraction combinations include Stonehenge, Avebury Stone Circle, Bath, Glastonbury and King Arthur Country, Salisbury Cathedrall and Magna Carta, Windsor Castle, The Cotswolds, Oxford, Wells Cathedral, Lacock Village, Castle Combe, The Cotswolds or simply Stonehenge at sunset or sunrise. 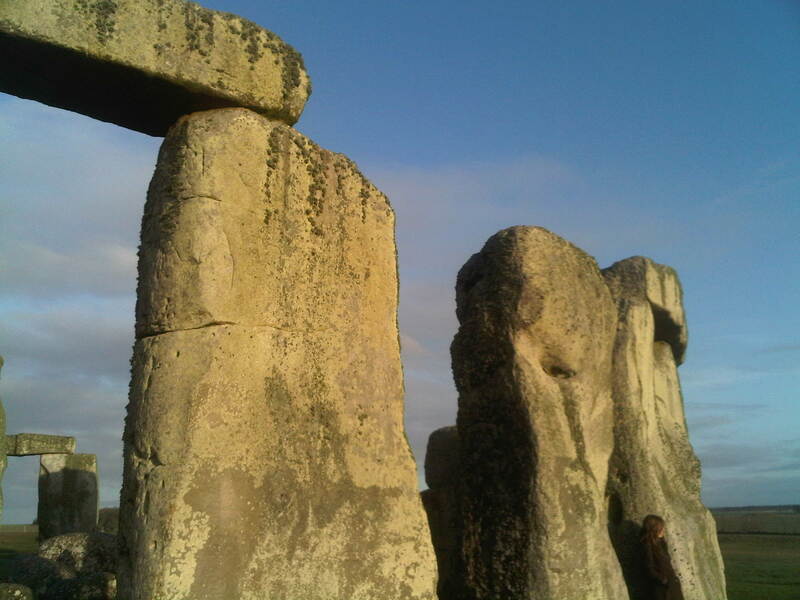 Enjoy the wonder of Stonehenge on our custom private guided tours with a local prehistory and Stonehenge expert. Bath, Salisbury and London departures. A new discovery could help shed light on why the mysterious Stonehenge was built. The large complex, found in a city around 1.5 miles (2.4 km) from the famous stone circle, is thought to date back more than 1,000 years before Stonehenge. The researchers say the complex was a sacred place where Neolithic people performed ceremonies, including feasting and the deliberate smashing of ceramic bowls. The new discovery shows the entire area around Stonehenge was even more sacred and ritually active than archaeologists had thought, hundreds of years before Stonehenge appeared. The complex was built about 5,650 years ago, around 3650 BC, more than 1,000 years before the stones of Stonehenge were erected. The 656 foot (200 metre) diameter complex consists of around 3,000 feet (950 metres) of ditches and is the first major early Neolithic monument discovered in the Stonehenge area for more than a century. It was discovered in a village called Larkhill in Wiltshire, just 1.5 miles (2.4 km) north east of the famous site. A group of archaeologists found the site after the UK Ministry of Defence was preparing to build British Army houses on the land. The researchers, led by Wessex Archaeology, found evidence of cattle bones, ceramic dishes and human remains. Freshly broken pottery, dumps of worked flint and even a large stone saddle quern used to turn grain into flour were also found. The researchers will now test the remains of the the findings, including the ceramic bowls, to try to determine what they were used for. Each bowl could have held up to 10.5 pints (six litres) of beverage or partially liquid food, potentially a broth. ‘The newly found site is one of the most exciting discoveries in the Stonehenge landscape that archaeologists have ever made,’ a prehistorian from Wessex Archaeology said. ‘These discoveries are changing the way we think about prehistoric Wiltshire and about the Stonehenge landscape in particular,’ said Martin Brown, Principal Archaeologist for WYG, consultancy company WYG, which is leading the Larkhill housing development. ‘The Neolithic people whose monuments we are exploring shaped the world we inhabit: They were the first farmers and the first people who settled down in this landscape, setting us on the path to the modern world. Around 300 feet (100 metres) of the ditches have been excavated so far.